What if… you could build a feedback-friendly culture? In organisations where feedback is actively sought, given and received by all people, you’ll witness a stronger commitment to delivering on performance objectives – and a desire to do better. They’ll be fewer of those difficult performance conversations to be had and performance gaps will be addressed more quickly – and with minimal intervention from HR. 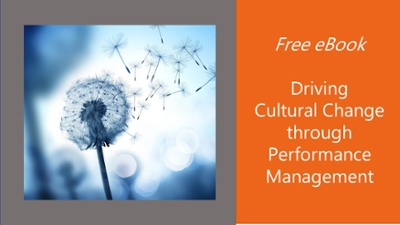 With a feedback-friendly culture, you’ll witness a more adaptive and responsive workforce where feedback conversations flow across the organisation as part of daily working life. Performance conversations will have more focus and be of better quality – and people will know what is expected of them. And when people know what is expected of them, they’ll achieve. But how can you achieve a feedback-friendly culture? At Head Light, we know how to help an organisation develop a feedback-friendly culture. We’ve seen what works and what doesn’t. It’s about integrating the feedback behaviours you want to see into everyday working – not just at key points in the HR calendar or when there’s a performance issue. And introducing continuous performance management. Creating this shift in attitude certainly requires a re-think and a re-positioning of what feedback means – and a strong commitment to making it happen from the senior team. But to embed it firmly requires the right tools to support this new day-to-day behaviour. You’ll need somewhere to capture the feedback, some way to ask for feedback, and a mechanism for collating and tracking this. Talent Performance gives you an accessible, easy-to-use on-line tool through which everyone can track their own performance objectives and how they progress against these. It gives them a ‘wall’ on which people can post feedback giving instant feedback on how they are doing. Talent 360 provides the ability to roll-out questionnaires to ask for specific feedback from team members and colleagues based on the particular behaviours and competencies needed for the job. Not just part of an annual review, 360 degree feedback can be used as projects progress or when specific feedback is needed. And we’re with you every step of the way as to introduce these new tools: we know the importance of getting it right when you introduce new software and processes. We’ll train your Administrators and be there for them when they need support and answers. We can train those giving feedback from 360 reviews to get the very best from these conversations. And we can support you in your journey to help managers to be more involved in getting the best from their people through our Talent Management for Managers course. If you are ready to build a feedback-friendly culture, please get in touch. We were very clear at the outset that we wanted this new approach to performance feedback and management to be driven by the individual: it is to be their responsibility to seek out and record feedback – rather than their manager. Using Talent 360 has given our managers an easy-to understand process and a sharp focus on the development areas needed. The feedback has been positive regarding the reports and the value of the information they give. 93% of those who have been through the WM360 process agreed or strongly agreed that the WM360 system was easy to use and 96% agreed or strongly agreed that the report useful and easy to understand.